Near Jerusalem there is a desert valley 400 feet below sea level. 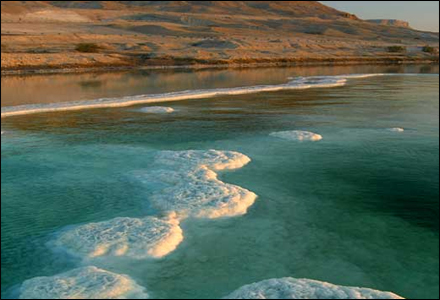 The sweet waters of the River Jordon flow into it and also mountain streams to form an enormous lake called the Dead Sea. It lies like a vast blue jewel in the desert mountans - its shoreline white from mineral salts. 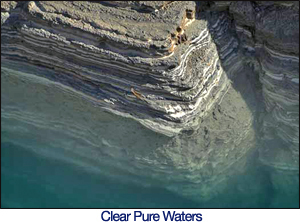 It's clear waters are rich with dissolved and suspended minerals as is the mud along the shores. These waters have been famed for millennia for curing ills and diseases. 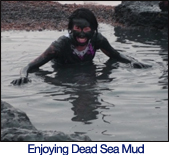 Kings and commoners alike travelled frequently for great distances to bathe in the sea and to avail themselves of the benefits from the salts and mud. Cleopatra had her recipes and the Dead Sea was reputed to be her personal spa. You can just imagine the spa resorts of the day, when bathing was a revered ritual and they wore no bikinis - (If they did they didn't talk about it). 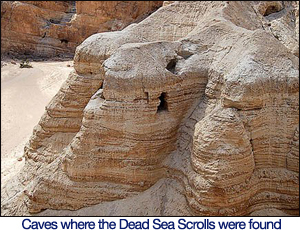 The ancients honoured the place enough to place the Dead Sea scrolls there. The efficacy of the air and the algae drew people there over and above the mud and salts themselves. We imagine that they were not aware of why it was so health-giving but I believe it was well known to motivate people to undertake the very long journey. Maybe it was greener in those days. We know now what makes up the proven blessing to health. We know about the abundance of moisture-retaining minerals which help the process of data exchange between cells. Each mineral has a specific vibration - a unique wave or oscillation that stimulate the cells to regenerate and nourish the top layer of the skin. Furthermore local desert plant life like Trigonella shrub and the Jujube tree – have been used for thousands of years by local peoples to hydrate, soothe and nourish damaged or irritated skin. 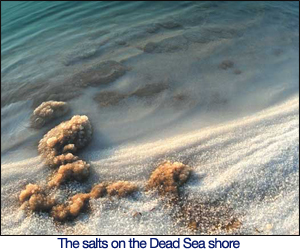 The waters of the Dead sea are sterile in that they support no harmful bacteria or animals. I think that's the likely explanation of the name - pure in that sense. It does boast beneficial algae though, which add to the health mix. Ahava have combined all of these things in the production of an a range of beauty / healthy products for the body and energies we are also made of. The products have been researched and tried, their mix of ingredients support the minerals from the Dead Sea to do their wondrous work. You could say they vibrate n harmony to strengthen the effect of each unique vibration.. The effect is an immediate feeling of invigoration (rather than stimulus) and a relaxing out of the muscles due to improved circulation of the body fluids. There are other effects upon specific ailments and skin stresses that happen, due to irregularities in a body's energies. This is the sort of energy that is regulated within Eastern medicine – in acupuncture and martial arts. 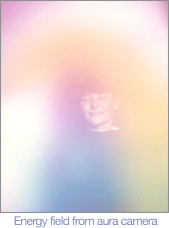 These energies have a greater effect than modern medicine has yet fully accepted - yet scietists are led, by seeing outstanding results, to embrace it more all the time. So here you see a range of beauty products which can point directly to the word beauty because the final result is clear tight skin with a healthy glow, sparkling eyes, and the kind of relaxed feeling you get when you are enjoying moving. After all it feeds the energies as well as the body - so dancing and sport are more fun... OK I seem to be making outrageous claims here, please take it that I am proposing that the pampering of the body in a way that addresses the energies is the pivotal thing about Ahava's range. And talking about energy - it's something we all want some more of - don't we? Well we drink coffee and that's good stuff in moderation. But this pampering gives you energy that has it's own good side effects – for example making you want to move to music rather than just sit there.